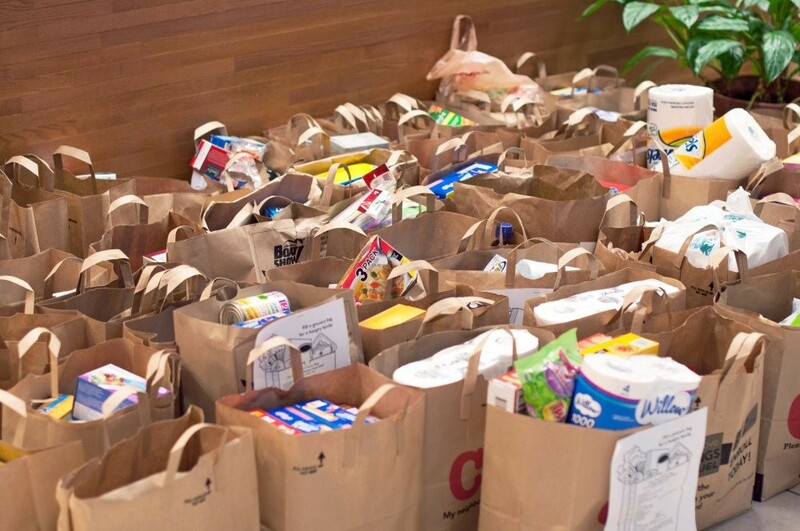 Our Food Shelf is intended to serve member of the parish community as well as our neighbors in the surrounding area who are in a financial situation that limits their ability to buy food for themselves or their family. We rely totally on the the generosity of our members for all food donations. We have no outside funding. Any member of our parish or resident of our service area is eligible to use our Food Shelf. Our service area includes New Brighton, Mounds View, Shoreview, parts of Roseville and that portion of St. Anthony lying within Ramsey County. No appointments are necessary. Clients must bring a state-issued picture ID and proof of residence such as a bill with their current address each time they visit. Did you happen to stop in today and you are not sure why? Are you sitting in the pew each Sunday and intrigued by the Catholic Faith? Have you been coming with your family for years and need a safe place to ask questions? Are you one of the many Catholics who didn’t finish their initiation sacraments and still need to receive Eucharist or be Confirmed? Are you marrying or married to a Catholic and you just want to understand Catholicism better? 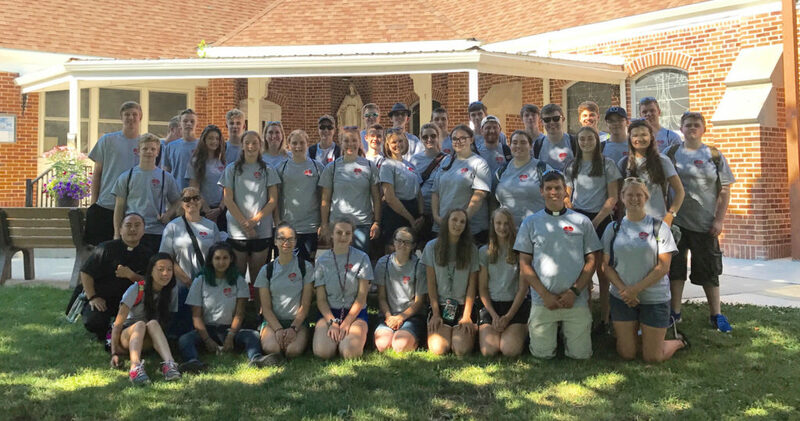 We have an opportunity for you, to journey in faith with us, as we share together the richness of a relationship with Christ within the heart of the Catholic Church. We invite you to come and learn more about Christ and what the Church teaches and spend time with some of our faithful parish members. These sessions are a place to ask the difficult questions you may have about the Catholic Church. These gatherings are for everyone (those unbaptized, those who were baptized Christian from other denominations and Catholics in need of Eucharist and/or Confirmation). A pastoral process for initiating new members into theChurch, leading them to knowledge of the truths of the Catholic Faith. 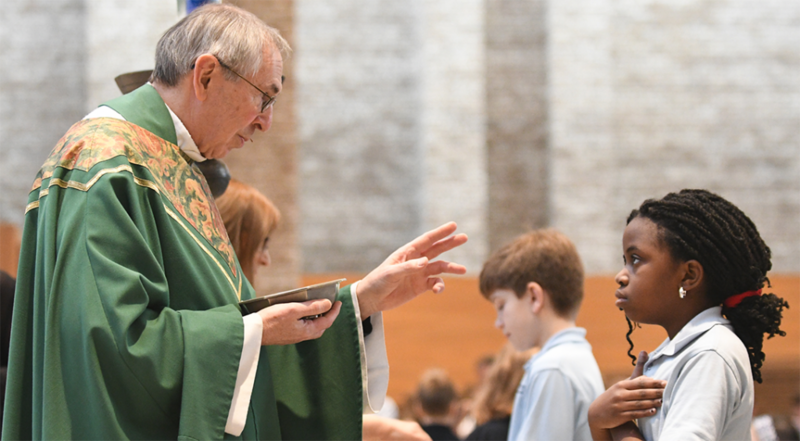 The process for a person to become a member of the Catholic Church, once they have passed the age of reason (Age 7), is through their participation in the Rite of Christian Initiation for Adults (RCIA) or Rite of Christian Initiation for Children (RCIC). RCIA/RCIC is a distinct process in which individuals explore his/her inner longing to find a unique relationship with God. - Those who were never baptized. - Those who were baptized in another Christian tradition but now seek reception into the full communion of the Catholic Church. - Those who are Catholics by baptism and are now preparing for Confirmation and/or Eucharist. Many people, such as catechists, sponsors, and others, will be available to help an individual discern his/her inner longing. The journey itself includes four phrases. Please note that due to the uniqueness of experiences and ages for individual RCIC candidates, each RCIC candidate will be handled on a case by case basis. Baptism is a sacrament that is the basis of the whole Christian life, the gateway to life in the Spirit, and the door, which gives access to the other sacraments. Through Baptism we are freed from sin and reborn as children of God. Study Scripture readings on Tuesday morning after Mass for the following Sunday. Provides maternity and children’s clothing through age two. Maternity Closet volunteers can also provide other resources through pregnancy and after the birth of a baby. To schedule an appointment or donate items, please call 1-800-221-8211. A gentle exercise program (includes warm-up, mild aerobic exercise, stretching, weights and balance exercises), offered most Wednesdays. Exercise is followed by a healthy snack, devotion, health education tip and fellowship. The Legion of Mary is an association of practicing Catholic men and women who; with the sanction of the church under the powerful leadership of Mary Immaculate, Mediatrix of all Graces, have formed themselves into a legion for service, in proclaiming the beautiful truths of the Catholic faith, to promote the Church’s work and to wage warfare against evil powers in the world. Science and Faith - A 6 week series with Professor Philip Rolnick. Join Philip Rolnick, a parishioner and professor at the University of St. Thomas, as he shows how recent scientific discoveries are not only compatible with faith, but can actually be helpful. He has written the book Origins: God, Evolution, and the Question of the Cosmos (Baylor University Press, 2015). This book on science and theology has been nominated for three national awards. The book takes challenges of contemporary science, including evolutionary theory, and turns them to advantages for faith. Sessions will be March 20, 27, April 3, 10, 24, and May 1. Cost is $15.00. Click here to register. Women of all ages are invited to come to the Circle and share their stories and lives so that we can journey together with God. We encourage and support one another through prayer, inspirational and informative speakers, worship, small group gatherings and social outreach. The Marriage in Christ Seminar is a five-week seminar is for couples who desire to strengthen their marriage, who want to establish good patterns of prayer & friendship or who are facing transitions in their lives, e.g., having children, the empty nest, or retirement. The Marriage in Christ seminar invites couples to renew their love and affection for each other and for the Lord, to deepen their unity as a couple and to celebrate the presence of God in ordinary life. God Our Father desires to renew marriage through the power of the Holy Spirit. Let Him begin with yours! Cost is $85.00 per couple. Due to a generous donation to the Archdiocese of St. Paul and Minneapolis we can offer this seminar to couples married 5 years or less for $25.00. *Childcare is available but space is limited so register soon. The servant leadership model creates a structure that allows for greater participation and development of a more informed leadership. It creates a synergistic environment for growth for all participants. It creates the opportunity for all parish leaders to pray together for the people of St. John’s and the opportunity for more persons to become involved and become active in other St. John’s ministries. This process is supported by the design of the monthly meeting format that incorporates prayer and sharing of a simple meal before the Commissions meetings and Pastoral Leadership Council meeting. The Commissions and the Pastoral Leadership Council work in partnership with staff to develop the vision, policies and programs that support the Parish mission. An organization committed to unity as a Catholic lay organization, charity to those in need, and fraternity with fellow knights. Do you want to support your Catholic Church? Do you want to become more involved at St. John's? Do you want to become involved in your community? Do you want to protect and enhance your family life? Do you want to enhance your own faith? If you answered 'yes' to any of these questions, then join the Knights of Columbus! Ready to Join the Knights of Columbus? The Chrism Mass has been Rescheduled to Holy Thursday, April 18 at 10am at the Cathedral of St. Paul. Catholic Watchmen gathering will be Thursday, April 11 from 6:30 - 9pm in St. Joseph Hall. Join us for drinks, dinner, fellowship and a presentation or video. We will also have an opportunity for prayer and confession. It is a great opportunity to get to know other men in the parish! Contact Fr. Paul with any questions at frshovelain@stjohnnyb.org or 651-633-8333 ext. 1214. Come and experience the presence of the Holy Spirit. Receive prayer for life’s tough situations: may the key to your healing. Beautiful evening of Praise & Worship, Adoration, Prayer Teams. Praise and Worship, Adoration, and prayer team ministry. The team presents the basic tenants of the faith to middle school students in “high octane” ways. Devoted ~ A gathering for women offered in the evenings. and bring a fellow female!